The entire CSS design team is showing off projects made with our favorite CSS products. Sweet dreams is the set that made me fall in love with CSS stamps. I couldn't help but mix it up with my favorite dies for a little baby ensemble. The favor flags were stamped with the nursery rhyme text border, and I gave the card-base a stripey look. For the main image, I die-cut the label die (also tracing around the die and hand-cutting a brown mat for it) and stamped the sleepy moon image onto the label. I love a book-wormy-moon. I paper-pieced the images (I love the soft texture that you can get with monochromatic papers), and added some fun glitter touches to the moon. I don't think you can tell in the pictures, but I added a foam square to the middle of the label, and then firmly glued the outline of the label to the card base. It gives a bit of texture and dimension without having it stand out too much! Ever since CSS came out with their envelopes and matching liner die, I don't think a card is complete with a matching envie. I stamped the liner with the nursery rhymes, and then stamped the moon in a very soft brown ink directly over-top. Look, ma - no masking. ha. I very carefully dabbed some copic color into the moon image, being careful not to smudge the (non-memento) brown ink in the process. What's a baby card without a baby gift? I whipped up a little gift box using my favorite CSS favor die - and that's saying a lot, since CSS carries so many different options! I stamped the box in the same stripes as the card, and included a matching favor flag. I hope you like my baby-themed CSS faves! Party update: It's 5am here, and whisper quiet. In a few hours, a gaggle of girls will be here to celebrate Sofia's 8th birthday... I may be taking a few instagram pictures of the day, if you want to check them out. But, I won't be able to share too much or post to the blog for at least a few weeks: I crafted the party using brand new CSS stamps and dies! I can't wait for our upcoming May release - it's all so cute! I am on pins and needles to show off Sofia's spa party with you! I thought it would be fun to take some of the images from the mom & dad set and do something a little different with them. I stamped the border onto a sheet of blue cardstock, cut it apart into strips, and then adhered them under the boat. I stamped the sails onto white cardstock, filled them with a text background, and cut them out. The base of the boat was stamped onto red carstock in the same light ink. I wanted to cut it out without showing off the stamp outline at all. The clouds were stamped onto pieces of masking paper and then just placed onto the card-front as masks. I blended inks for the sky before sewing my boat into place. 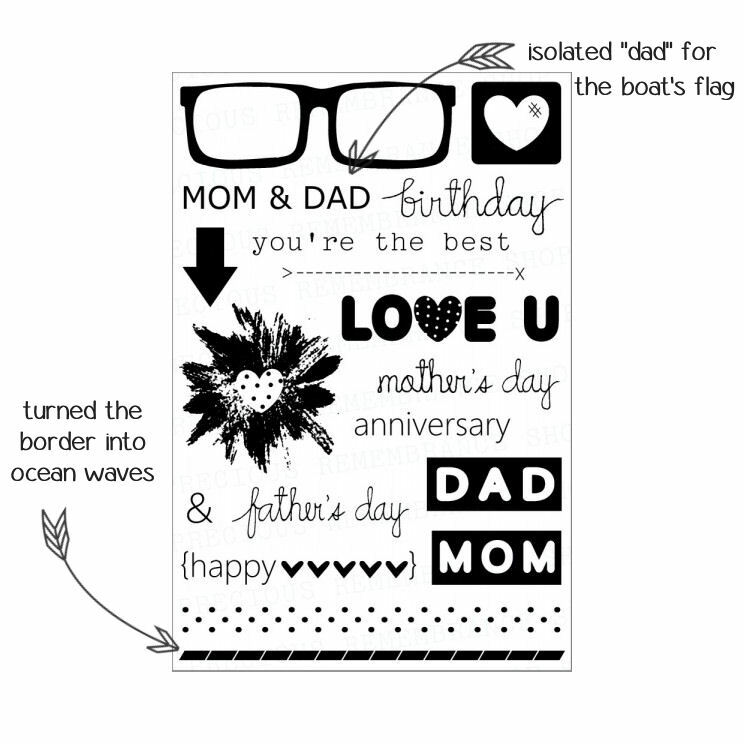 I hope you like my nautical dad card, and get inspired to look at your own stamp sets a little differently! I'm thrilled to be able to show off the cards I made using Mama Elephant's "bling" set. I layered some patterned papers and tried my best to fussy-cut around her for a fun focal banner. Coloring in the dots of the word "brighter" is a great way to accent it! I used some of the same notebook-style patterned paper on the left, and brought in a frame and added some twinkle in the night sky. I added a luggage tag behind the frame - it doesn't move or anything (although that would be cool) but I think it still adds to that "wish you were here" feeling. I colored in only the lights in the building where I pointed the speech bubble. I hope you like my ME projects today - thanks for stopping by! When my son said: "for my next birthday, I'd like it to be either a star wars or a batman party. I like batman, but I also like Yoga," I totally overlooked the fact that he mispronounced Yoda and gently nudged him in the direction I preferred. By that I mean, I started playing "Return of the Jedi" almost immediately. By the movie's end, he was clear on his choice.... ha. The detail on the cookies and cupcake toppers is unreal. The little Chewie in the fighter ship is edible - I was told that they were completely handmade and hand-painted. Incredible. The signage was so fun and helped to create a fully cohesive party. I'm showing off my very favorites, but we also served "han-burgers," "palpatine's pizza," "hutt dogs," and "thermal detonators." Great fun. For most of the boys (including mine) it was the first time they were trying any kind of soda. We mixed limeade with a touch of 7up and called it "Yoda Soda." My favorite is still "Leia's buns." Thanks to my sister, Melissa, for making them for our party! I didn't use all of the printables that came with the pack. But, since I paid for them, I found another use for all of the cupcake toppers and other character signs that I didn't need for the dessert table: a mobile. I strung up double-sided pictures from our dining room's light fixture. It was a fun touch that made a big statement. Instead of tablecloth, I opted for a length of wrapping paper, and die-cut black stars to scatter over the length of the table. The party can't be all nice-to-look-at and no activities, right? 1. my happy 6 year old! 2. pool noodles, cut in half and wrapped at the base with masking tape, make for awesome light sabers. 3. Darth Vader meets planet-of-the-apes masks - they were a weird hit. 4. We froze Hans Solos in, er, jello and then made teams race to dig him out. It took them about a minute. 5. initiation into jedi training involved tattoos. 6. the best thing about throwing a themed party? The parents know what will make your son happy. These were my fave. When Marlyn dropped them off, my eyes bugged out. I even took an extra and popped him onto my cake. To give them as favors, I wrapped them individually in cello bags, and for extra fun, cut a little paper cape - he was much more menacing that way. I hope you liked our Star Wars party! The kid in me loved every minute of it, and my son has been grinning and talking about it ever since. darth vader, r2, and chewie - oh my! 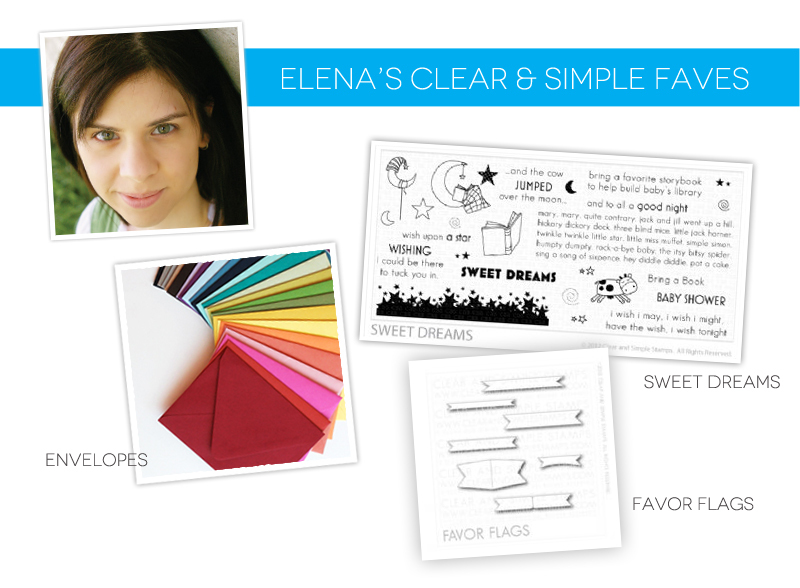 for a completely stress-free way to have fantastic decor at your next party, opt for a printable set. I got mine from Hello My Sweet. They are a super friendly and professional shop on Etsy and I thoroughly enjoyed working with them. if you'd like to see more, follow me on instagram! I already have a picture of the cake, and a few shots of the decor and my baking assistant. I'll be snapping a few more throughout the day, but I will be sure to come share them here as well sometime next week. It's the last day of lawn fawn inspiration week! I hope you've enjoyed seeing all of the design team projects. Today, we're highlighting the mini-sets: year three and mother's day. I stamped the "c" from quinn's abcs, and "is for" from riley's abcs. It's hard to tell in the photos, but I added glossy accents to the "c" and also to the flower in the vase at the bottom. I stamped, colored, and glittered up the fun little chocolate cake. Thanks so much for stopping by and leaving the sweetest comments this week. You know how to give a girl a lift! Welcome to another day of lawn fawn inspiration! We are showcasing "riley's abc's" - a super fun-looking alphabet set. I paired riley's with a little birdhouse and used clouds as masks only to create my little scene. I alternated using the capital and lowercase letters, to create visual interest. I kept things soft by stamping in a dark grey ink instead of black, and tied a matching ribbon around the bottom of the card. I'm kind of digging this orange, kraft and grey scheme - what do you think? ***this is my second post of the day. Scroll down or click *here* for my lawn fawn inspiration week post. Today's CSS group project is all about alphabets. I'm showing off the new, amazing larger alphabet dies with a monogrammed 3x3 notecard set. and a strip of matching cardstock to accentuate the cut-out letter on the card-front. It's all packaged up and ready to go! Lawn fawn inspiration week, and today we're showcasing the pink lemonade and daphne's closet paper lines. I used the different sizes of heart dies to create space for me to show off a few different patterns in our collections without it looking too busy. For a delicate, homespun feel, I ran the panel through my sewing machine before propping it up onto my polka dotted card base. A sticker, from the pink lemonade collection, looks so fun against the cheery yellow base. I added a few yellow sequins to give some shine, but still blend in with the background. For the stampede, I created a card with my favorite new set, tree friends. This set is so soft and pretty! I stamped the tree and colored it in with copics, adding a few falling leaves and a squirrel silhouette to the mix. And, because I didn't want to cover up the beautiful tree, I stamped the sentiment onto vellum and added glue dots behind a couple of sequins to hold it in place. I hope you like what I've created! And be sure to visit all the stampede stops today! It's time for another lawnscaping challenge! We're asking you to craft your inspiration! 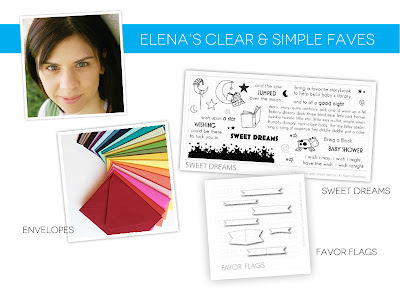 Is there a crafter who inspires you? A pin that caught your eye? A new stamp set or tool that sparked something creative in you? Craft it, and link up to our challenge! I paper-pieced the balloons, but masked around the clouds to sponge in a soft sky. The harness on the rhino was hand-drawn, using a memento black marker, so that I could still color him in with copics and not have any ink-bleed. 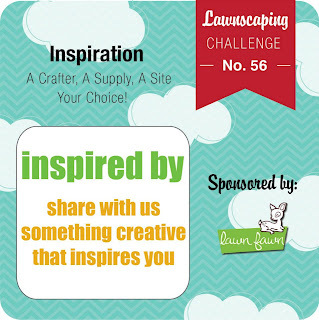 I love lawn fawn inspiration week! Today, we're highlighting "critters on the savanna" and I thought I'd do a softer take on the set. I cut strips of off-white cardstock, sponged all of the edges, and wove them onto an aqua-colored-cardstock-mat. I left gaps so that the aqua would show through. I then roughed up the edges for an added textural element. Some aqua-colored grass and a colored-to-match giraffe still bring on the wild... but I think I just made my giraffe blush. yeah I did. I hope you like my softer take on this fun set! a jar full of critters. crafty break - keeping it real.